Welcome to the inaugural edition of One Deck to Rule Them All! This series will take one deck then tweak and tune it throughout Theros block. Once the season begins weekly (hopefully) updates as to the progress of the deck will start - whether adapting to the meta game, adding new cards or taking it in a new direction. 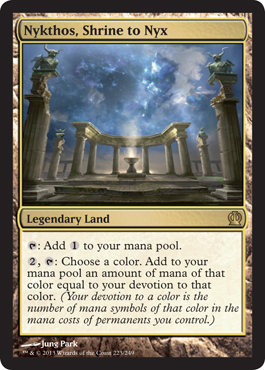 After Theros block is over the deck will transition over to the standard and continue the series if feasible. Right out of the gates it can be hard to predict what people will play and even harder to know what will be best. 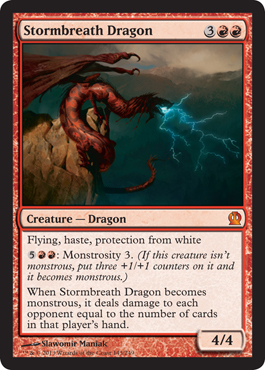 It is practically a sure thing that some version of mono red will emerge at the beginning whether or not it is good. There will also likely be some white weenie and UW control of some nature. Blue is very weak, it's card draw is practically non-existent, though its bounce and tempo could be very strong depending on how the meta works out. A white weenie deck is probably going to be W/x heroic. These assumptions are just off of tradition, the cards and MTGO. It sets 3 bars to pass in the beginning even if one or more don't work out in the long run. 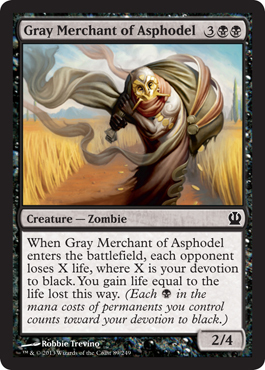 Playing heavy black means the Gray Merchant could easily be a 6, 8, or 10+ life swing which could be helpful to stabilize against fast decks. 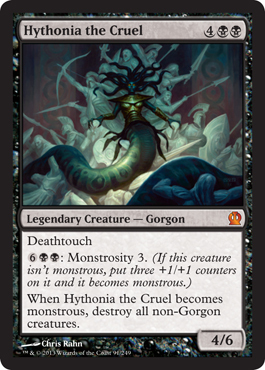 Hythonia serves as top end, win con, and wrath all in one, though at most 3 copies, probably 2, is the going to be the right choice. Pharika's Cure is more removal but has the downside of being a BB cost along with a small amount of damage - the effect is best early which is where double black could be hardest to assemble. 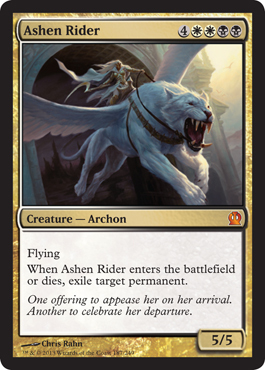 The whip is some another stabilizing agent against aggro as well as card advantage. It will depend on the creature count, if it is too low it is not worth running. 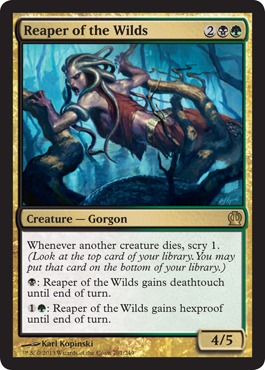 Viper's Kiss is likely more of a sideboard card against monstrous decks. Negating Polukranos for B seems pretty strong and a likely avenue for some decks so the Kiss main board to begin seems okay. Rescue works well with the 2 ETB black creatures (sacrificing a Merchant to get a Merchant is at least a 16 point life swing!). 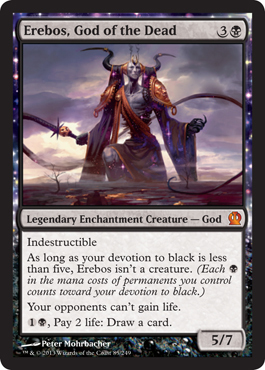 Erebos is the only repeatable true card advantage (when repeated scry is considered "virtual" advantage) but at a potentially heavy cost. Nighthowler could be interesting against creature heavy decks for late game but is likely a sideboard at best. 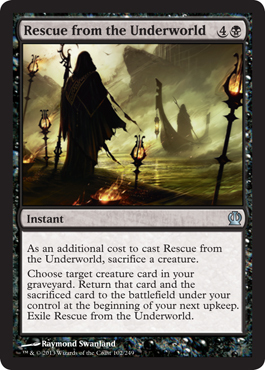 Disciple is just further disruption, to go alongside of Thoughtseize. Agent of the Fates is very powerful if built around. 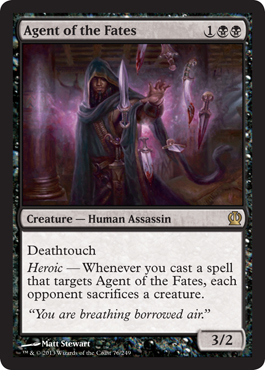 The only other black heroic card is pretty weak in comparison so using Agent effectively will take a 2 or more colored deck. 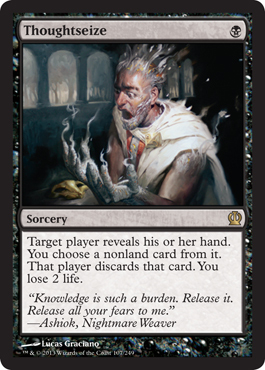 One risk with this shell is a potential of 8 shocks to myself through Thoughtseize and Read the Bones. This can be at least somewhat mitigated by Gray Merchant and Pharika's Cure. Playing Nykthos will also be more dependent on being heavy black with a splash but can be cut if needed. The first benefit is consistency - not stumbling on mana can be very beneficial. It also means the ability to use Nykthos and just having a fair bit more devotion. It allows an easy inclusion of Pharika's Cure for early game stabilization. The mana would be extremely rough. You would essentially want RR and BB by turn 3 for Anger or Downfall and there is no scry land. Access to Elspeth, Sun's Champion one of the overall strongest cards in the set and versatile as well. 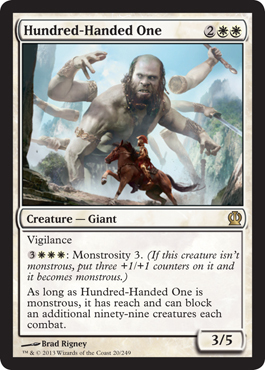 Furthering the last point most of white's creatures are based on the heroic mechanic which wouldn't play well in a deck without a heroic focus. 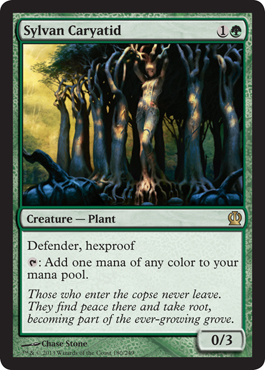 Once again the mana is the issue, even though green has fixers you need enough forest to make sure you can play the fixers early enough to be of value. The amulets are to help with the mana; the rays if there are a lot of enchantments. There's not a sideboard for either as these decks are rough sketches. The plan from here is to test out the deck and get a feel for the meta and then make a decision on the deck. Official events don't start until the end of October for block constructed so next article will just include tournament practice matches and videos. If the decks don't really work out at all the next direction will most likely be mono red, mono white, or white green beats. What do you think of the decks or perspective on the format? Let me know in the comments! Mono-Black certainly looks the strongest upfront. But I wouldn't count out a UB control build nor a base white build either. 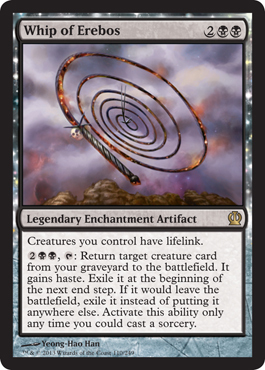 Omen Speaker seems solid enough and you have Ashiok in UB. In White you've got some very unpleasantly quick weenies, spear of heliod and God's Willing. 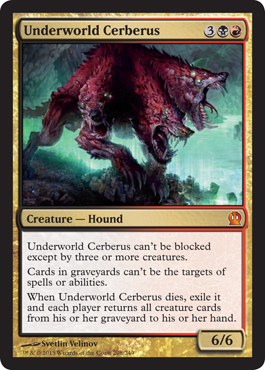 However I was interested in seeing if a GBw - reanimation deck was possible, using Ashen Riders, Polukranosusessss, Commune with the Gods, and Rescue form the underworld maybe? The problem with blue is that it's not really a control color in Theros. With lack of card draw and a lot of spells being tempo based, blue doesn't really help you play a longer game with black, and it doesn't really have much answers for the gods other than countering them. 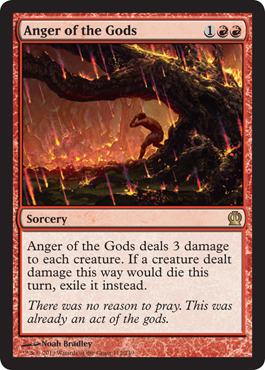 I think in some form the gods will be played, and mono black doesn't have an answer for the gods other than slamming Gray Merchants before the gods get online. I like starting with B/W. 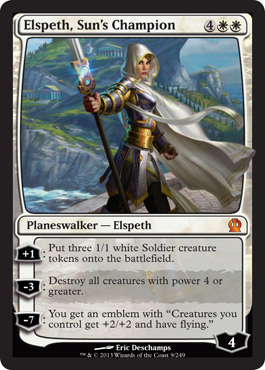 Elspeth is a beast and Heliod (if you play him) can take over long games. Not to mention Whip rebuying Gray Merchant is disgusting. I think with mono u going to be so big in std; that people will try it in block. With 3-4 copies of Annul main. Solves the god problems, with just 1 mana. I was actually coming up with a list. Blue does not get good card draw, but it sets up the draws nicely. With 4 dissolve, 4 voyage's end, and 3-4 annul; it should be ok. Maybe not as good as mono b, but we won't know that until we practice. I assume, it would look like something of this sort. I just read the facebook comments - The other 4 hero's downfall in monoblack list should be Pharika's Cure. I changed the link to the cure, just forgot to change the words, sorry! What kind of sideboard would u go with? 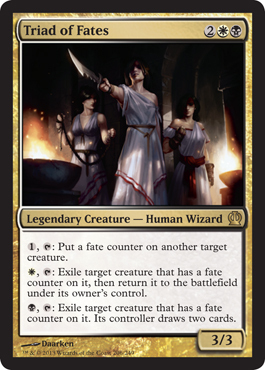 I haven't tested B/W yet (have everything but the Elspeth). 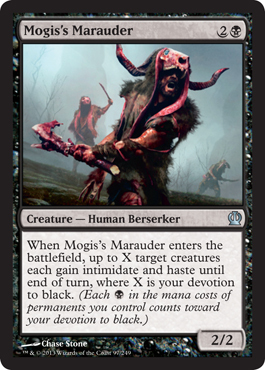 For mono black I have Mogis's Maruader, Dark Betrayal, another Hythonia, Abhorrent Overlord. The sideboard is very much in flux at the moment - I haven't felt like bringing in the Maruader was ever right and so it will like be cut. 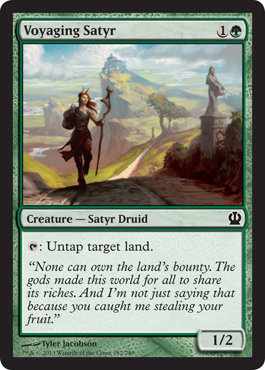 I am considering Defender of Meletis for the sideboard at this point as it blocks nearly everything in the format all day. 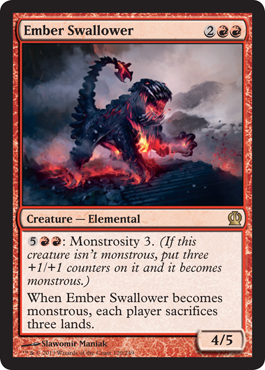 I am also think of filling up on Baleful Eidolon as my original deck desperately needs more low drops. You think that card could be any good? i was thinking maybe the baleful should be main deck. if not the baleful main deck, than perhaps the Guardians. let me know what u think. 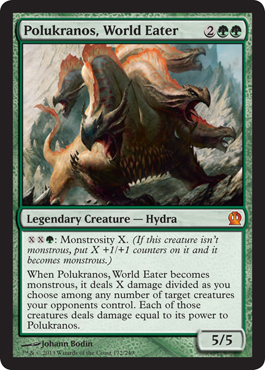 mono green, has way to many huge creatures; to deal with. 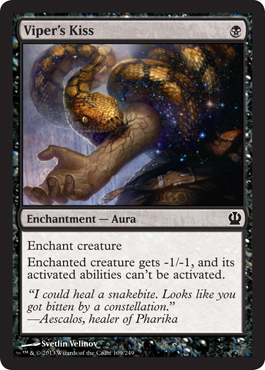 It seems like Ashiok and the solid counterspells could set up a good control shell. 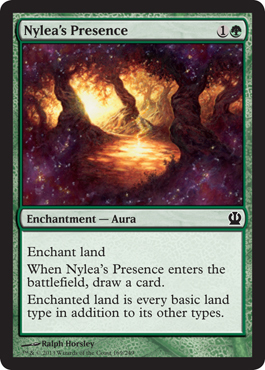 Also it has the duel land and a few other solid threats. Why isn't that a consideration? I'm not sure what you mean by solid counterspells, there is Dissolve and....nothing. 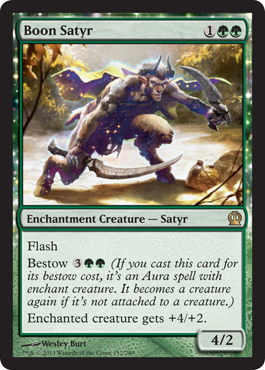 Ashiok also has a problem of doing nothing against aggro which is nearly always the center of early metagame (right now it's all about R/G aggro). Prognostic Sphinx is a good reason, but I just don't see the others. Iv'e been testing out a deck list with a friend. Against the current meta game of r/w aggro and r/g, we have been crushing them both. i went with an all blue deck at first, but after a few days of testing gave it up. 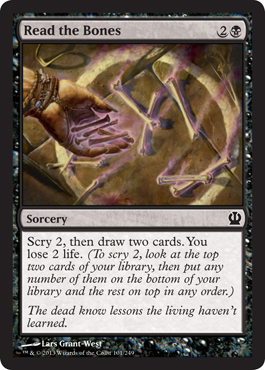 We still went with the black core, but gave the deck a twist with an addition of counters, bounce spells, and Ashiok. It's worked out pretty good so far.